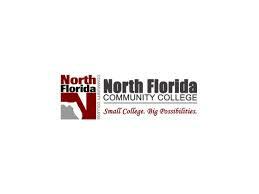 EXCEPTIONAL FACULTY AND STAFF: At NFCC students find a small campus atmosphere that is infused with quality instruction, exceptionally talented faculty and highly trained staff. Our exceptional faculty members bring a world of knowledge and experience into the classroom and help prepare NFCC graduates to enter the workforce or continue their education at four-year universities. OUTSTANDING LEARNING ATMOSPHERE: NFCC is proud to have small classes, usually less than 25 students, where students are not just a number. At NFCC you learn in small, personal classes where instructors know you by name. NFCC offers excellent student and educational support services including counseling, tutoring and the latest educational technology in its classrooms and student learning areas. An exceptional college dedicated to an individualized and supportive academic atmosphere, accessible education, lifelong learning opportunities, and professional growth for our students and communities.